Interchangeable tips are held in place by a very strong magnet. 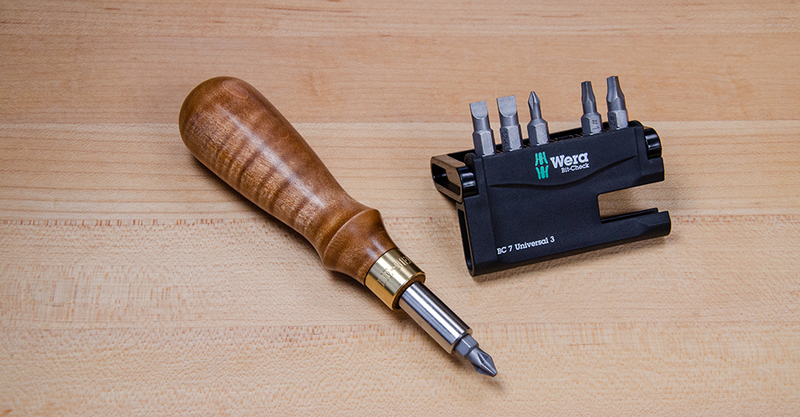 Set includes six bits: #1 and #2 Phillips, #1 and #2 Square, 5.5mm and 6.5mm Slotted. S2 Steel tips, hardened to Rockwell 54-56. 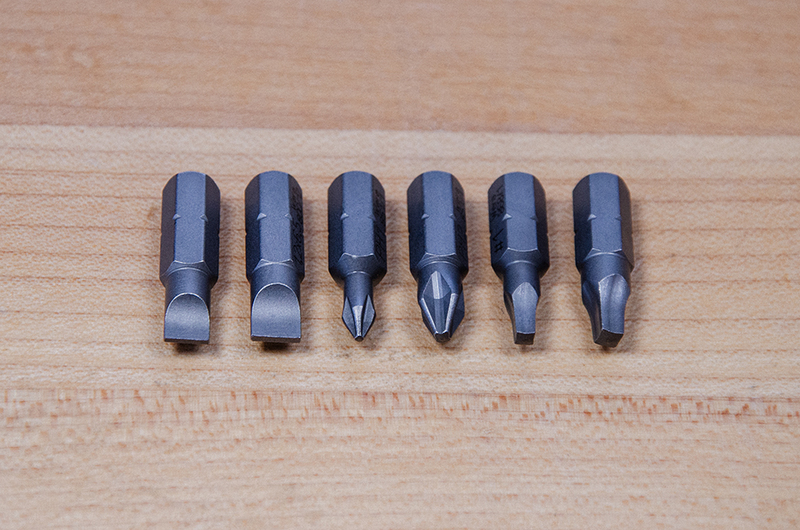 Accepts other standard 1/4" shank bits. Curly Maple handle.